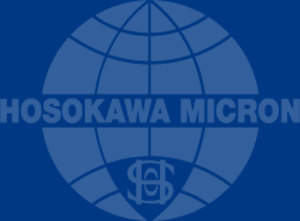 The Hosokawa Micron Group is an international supplier of machines, systems, processes and services. Hosokawa offers solutions for different business sectors. Hosokawa is the world’s leading supplier of processing systems for particle and powder processing. Renowned brands such as Alpine, Stott, Vitalair, Rietz, Mikro, Micron and Vrieco-Nauta are included in the group’s portfolio. Whether production systems, pilot plants or laboratory equipment – Hosokawa products and technologies are used in numerous process stages, for example in comminution, mixing, drying, agglomeration, classifying, weighing and dosing processes. Hosokawa Alpine is one of the world’s leading suppliers of film blowing lines and offers complete systems from one single source: from resin supply systems to film winders, from mono die heads to 11-layer lines, from speed controllers to state-of-the-art process control systems. And with the Alpine film orientation line, complete systems are now available for film finishing. The Hosokawa Group maintains testing & application centres, manufacturing facilities and service branches in each of the world’s major industrial markets.